Geese in Flight is the enormous sculpture on I-94 that marks the turnoff to head south on the Enchanted Highway. This summer, you can take the Enchanted Highway south across the drawbridge of southwestern North Dakota prairie into 14th Century Life. The Enchanted Castle at Regent, North Dakota will be the site of a reincarnation of the Renaissance. It’s planned to run every weekend from the last part of July until Labor Day. Head south of I-94 at Gladstone (east of Dickinson), visit the gigantic sculptures along the highway and head to a different period in time. Like his other “larger than life” sculptures on the Enchanted Highway, artist Gary Greff is piecing together the largest dragon you’ve ever seen. Organizer Randy Jones is working with Enchanted Highway artist Gary Greff to create North Dakota’s only Renaissance Festival. They started planning over a year ago and their target date for the first weekend — July 13-14. Jones said he’s attended and researched similar events around the nation, as far away as Georgia. The nearest renaissance festival to North Dakota is 500 miles east in Shakopee, Minnesota. Just a few miles further away west is one in Butte, Montana. As Jones envisions the event, there will be shops and vendors selling jewelry, artwork, leather good and other similar period products. Food is always a big thing at Renaissance Festivals. “Food is a big part of this,” he said. “That’s why we’re also planning a ‘Renfeast,” kind of a play on words – a renaissance feast.” The event has its own food and beverage director who is cooking up a variety of renaissance food vendors to serve turkey legs and meat pies and other period food. If you’d rather not wait until Halloween, you can dress up to have fun for the weekend — even if they dress up like a leper! Live entertainment is always a big part of festivals like this. Jones is looking for comedy skits, jugglers, magicians, fortune tellers to entertain the crowd. By the end of the first season, he hopes to see 30,000 people at the weekend events. He said special company events will also be added to the summer’s schedule. Planning and shaping progress can be tracked on the event’s Facebook Page. It’s one of the events we have posted on our popular Things To Do calendar page. Road trips in Western North Dakota are rewarding. Highway 16 south of Beach is one suggestion for you to plan, this spring. It takes you on the backroads all the way south to Marmarth. Or you can head north of I-94 to see the state’s longest scenic highway. We’ve got more road trips for you to plan this summer. Subscribe to get a note in your inbox when a new article is posted. 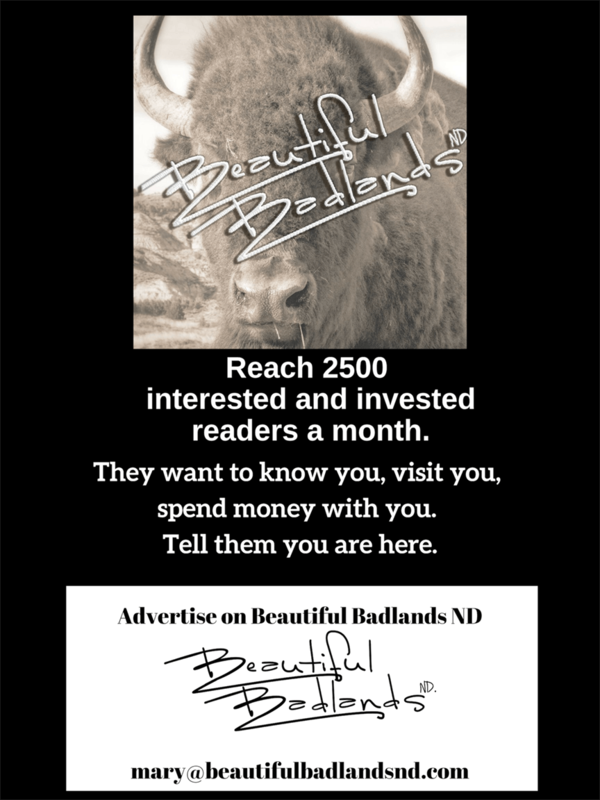 You’ll also get for free, the twice-a-month Beautiful Badlands ND newsletter. Coming up, a story on the Renaissance Fair planned for Regent, this summer. Subscribe and you’ll get a note when the story is published. Between now and spring, share the exhilarating and exciting adventures with your group. We’re booking speaking engagements now for 2019. We’ll speak to your group!